What would it take to truly prepare the U.S. for the potential of widespread technological unemployment and invest in people in a way that allows them to really reach their potential? 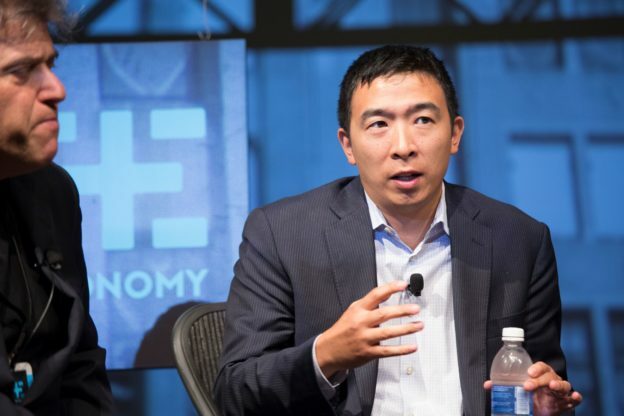 These questions and some novel answers inspired Venture for America founder Andrew Yang to run for president: he is a declared candidate for the 2020 election. Jim interviewed Yang at an event in San Francisco on his candidacy, vision, and the political path forward for basic income. This entry was posted in and tagged andrew yang, basic income, basic income candidate, basic income podcast, basic income presidential candidate, ubi, ubi podcast on April 19, 2018 by owenpoindexter@gmail.com.